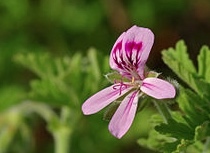 Geranium (Pelargonium graveolens) is used to extract the geranium essential oil. A perennial shrub that is endemic to Southern Africa, from which many different varieties have been created over the years. 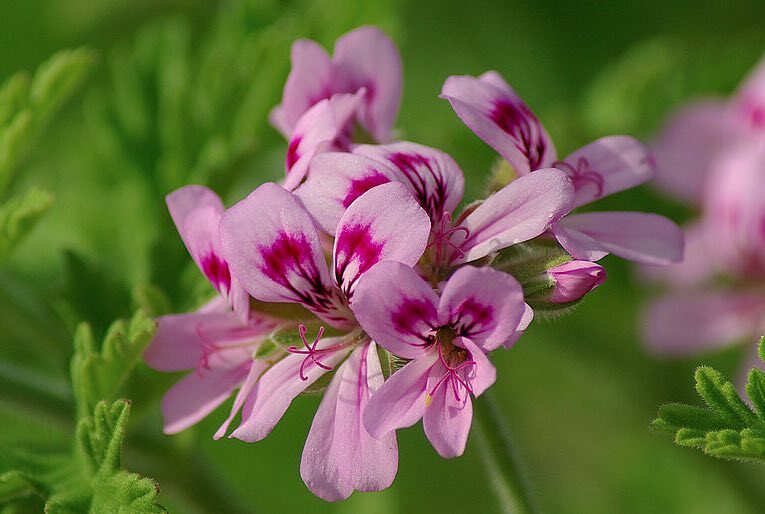 Geranium essential oil is used to treat acne and for sore throats. With its uplifting qualities, it is used to treat anxiety and depression, as well as calming for insomnia. What’s Hiding in that Perfume? These are used specifically in fragrance preservatives, and are to be found in high concentrations in most commercial perfumes. Phthalates are known carcinogens and endocrine disruptors. Compounds derived from petroleum and natural gases, they are highly energy-intensive to produce, so they’re bad for the planet. Most noteworthy where we are concerned, they can trigger allergic reactions like eczema and rashes or even asthma, so they’re just not viable in our sunscreens. Geranium (Pelargonium graveolens) is a perennial shrub that is endemic to Southern Africa, from which many different varieties have been created over the years. Pelargonium graveolens has small pink flowers with pointy leaves. The essential oil is extracted through a steam distillation of the stems and leaves only. The aroma can vary somewhat as the harvest of young green leaves will result in a lemony scent, whereas if older leaves are harvested with a different colour, the scent will resemble that of a rose. Geranium essential oil is often compared to the rose essential oil because they share almost the same therapeutic traits as well as the aroma. The leaves and stalks are used for extraction, and the oil is obtained through steam distillation. The resultant oil is mostly without colour, but can have a slight light green colour to it. Main ones - citronellol (26.7 percent) and geraniol (13.4 percent). In aromatherapy, geranium oil is used to help treat acne, sore throats, anxiety, depression and insomnia. It is popular among women due to its rosy smell and its beneficial effect on menstruation and menopause. The essential oil can also aid in uplifting mood, lessening fatigue and promoting emotional wellness. Geranium oil also functions to assist in pain reduction and inflammation. Its antiseptic properties can help speed up the healing of wounds and treat a variety of skin problems, such as burns, frostbite, fungal infections, athlete's foot and eczema. Fragrant scent: Besides the wonderful rose fragrance, it also helps combat body odour due to its antibacterial action. Helps in healing or fading scars and the removal of dark spots: by improving blood circulation just below the surface of the skin and promoting an equal distribution of melanin. This also helps with poor circulation and skin complaints such as bruises, broken capillaries, and burns. Astringent: soothing, refreshing and relaxing, it helps prevent skin problems like sagging and wrinkling, and helps give your muscles a toned appearance. Antibacterial, anti-fungal, and antioxidant properties: Prevents bacterial infections and boosts immune systems. Helps healing of wounds by triggering blood clotting, which also stops toxins from reaching your bloodstream through open wounds. Because Geranium is non-toxic, non-irritant, and non-sensitising, it is not known to cause any side effects.